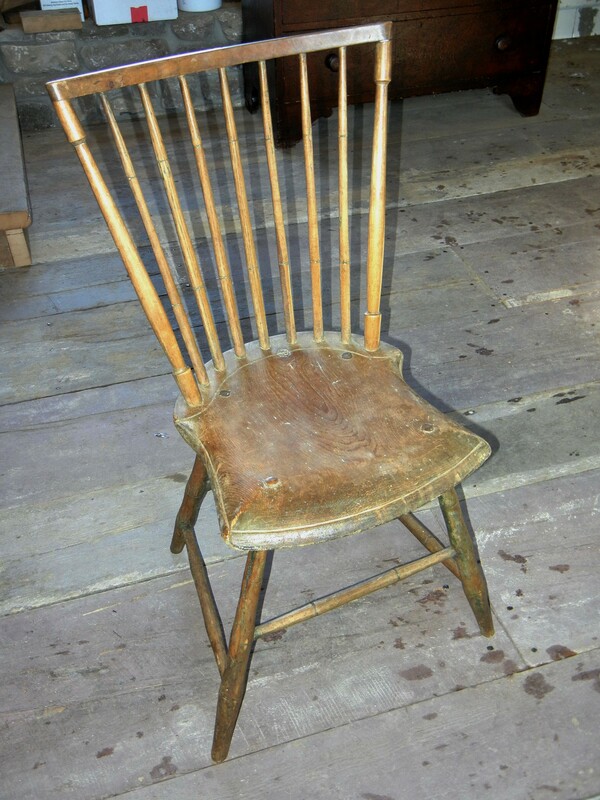 This c1820 Windsor side chair in the Sheraton style was found in the eastern Townships (Loyalist area) of Quebec. Its paint was removed long ago, and it has developed a nice patina over the years. It has a rarely seen style of crest rail.